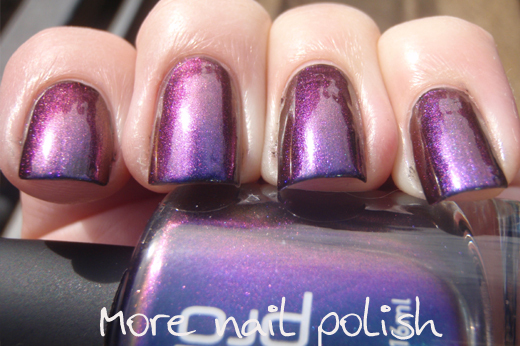 I sent the girls over a piCture pOlish some pics of my Oztoic swatches in case they wanted to add them to their site. They did - cool, and they also added them to their facebook site. 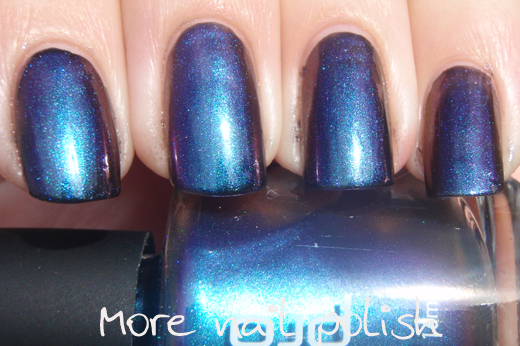 Which means you may have already seen this swatch of Ozotic 506 Reef. Reef's main colour is cyan blue, with a purple multi chrome shift. This colour is very similar to #505, the only difference being that #505's base is a slightly more green turquoise colour. Full sun shot showing the purple and blue colour shift. Even more purple, boardering on red. Nobody does multichromes like Ozoitc. They are spectacular. And the awesome thing is that anyone can get them, as long as they are willing to spend the bucks for them. 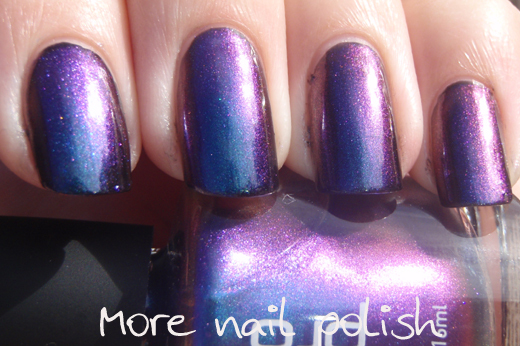 It's such a bummer when people post awesome polishes on their blogs that no one can get anymore. I know, I've done it, like with the AVON colour morphing top coat. So I love being able to post about awesome polishes like these Oztoics knowing that they are available for people to buy. This polish is definitely in my top three multi chromes, together with #503 and #505. But I don't think I could choose which one would get top spot. I am TOTALLY drooling over these ozotic colors! Wish we had them here!